The goal of this Game Development Competition is more about providing the right kind of motivation to get you to actually sit down and build a game than it is to prove you're a better coder than everyone else. As such, these rules are pretty light, and pretty casual. If one or more rule doesn't suit your needs, feel free to be a Competition Rebel, and have fun anyway. These rules are tentative. Discussion will follow below, and any changes that are agreed upon will be updated in this post. 1. Create a complete game in the allotted time frame. For Competition #1, this is 7 February 2014 to 9 March 2014 (31 days total). The word complete and game are pretty loose. If you think it's complete, it is. If you think it's a game, it is. But it probably means not starting on your game early, and it probably means not having (many) bugs, and it probably means not leaving any half-finished features on the last day. (You can continue to work on the game after.) 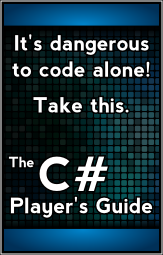 Starting on the design early, or working on generic cross-game framework code are both allowed. 2. It should be sellable. Not that you have to actually attempt to sell it, and not that if you tried to, somebody would pay money for it, but you should pay careful attention to licensing agreements and avoid copyrighted material (or get permission from the copyright holder). For anything that requires attribution, the copyright holder should be listed in the credits. The purpose of this is to (a) push people in the direction of making sellable, marketable games and to consider what that might take, and set people up for that at the end of the competition if the do it successfully, and (b) to make it easier to post images and videos and even sections of your source code to the forums here for bragging/feedback/discussion. 3. Show it off here. To claim victory, you must show off your game here in the forum. A download link is preferable, but screenshots, video captures, and cool descriptions of what you did is sufficient as well. 4. There are no restrictions on team size. If you want to work alone, do it. If you want to work with somebody else that you've found on this forum, do it. If you want to work with some friends, do it. Teams of 1 and teams of 100 are accepted. 5. There are no restrictions on what engines, frameworks, or platforms you use. 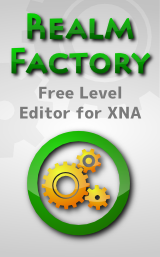 I suspect most people will use XNA or MonoGame considering that's been the focus of this site, but if you prefer Unity, JMonkeyEngine, or something else, feel free to do so. Theme: Space Invaders. The theme of this competition is space invaders. (As in, making a clone of the classic arcade game Space Invaders.) The goal of a shared theme is that it will lead to a tendency to solving some of the same problems and learning from how other people approach things, or to give an idea if they don't have one already. The theme is not meant to be a requirement. If you want to take the theme in a different direction or do a completely unrelated game that better suits your interests or skills, you should do it. The rules above are basically just an attempt to summarize what we've been discussing in the other thread. I'm definitely not attempting to decide anything unilaterally by myself, and I want feedback on it. If I got something wrong, or if something doesn't sit right with you, bring it up! This whole competition is intended to be pretty casual. So if you want to bend any of the above rules, do it. You can be an Officially Approved Competition Rebel, and claim victory anyway! You've got my thumbs up for everything posted so far!